Saunders Physiotherapy is widely considered as a world-leading centre in the area of therapeutic exercise prescription. Prescribed exercises aim to improve the control, strength, and endurance of abdominal, back, pelvic, lower limb, neck and/or upper limb muscles. 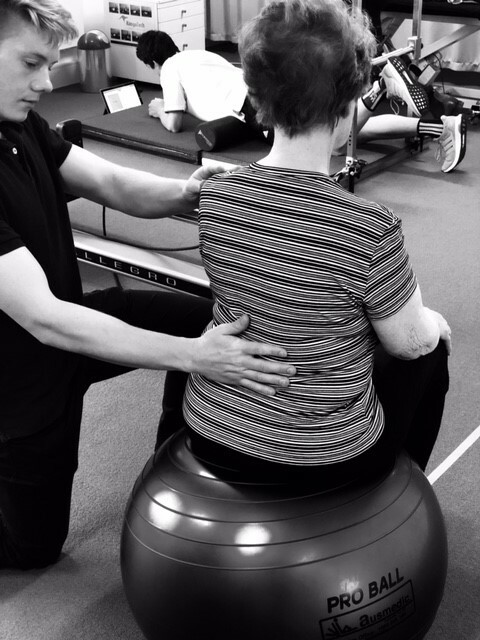 Your Physiotherapist will educate you as to why these exercises have been prescribed and ensure that you are performing them properly as both affect how much you are likely to benefit from exercise therapy. At Saunders Physiotherapy, technology such as real-time ultrasound, dynamometry, and video analysis are used to identify muscular weakness and poor movement patterns. The exercise interventions prescribed at Saunders Physiotherapy have been shown to greatly reduce pain, improve function and athletic performance whilst minimising the likelihood of injury recurrence. Specialised strength and conditioning programmes that are tailored to your individual needs and goals are also available at Saunders Physiotherapy. Whether you want to improve sporting performance, reduce the risk of injury or recover from injury, resistance training is a necessary addition to maximise performance and health. It is also possible that you may benefit from a general exercise program that aims to improve your aerobic / cardiovascular conditioning as well as strength and flexibility. Sports specific conditioning is also available for injuries requiring high-level training. At Saunders Physiotherapy, our Physiotherapists are trained and experienced in sports training and rehabilitation and are ideally placed to assist you in these areas while safely rehabilitating your injury.